For clients, finding an attorney shouldn't be like a grade school dodgeball game where everyone's jumping up and down screaming, "Pick me! Pick me!" When it came to picking teammates, the strongest, best players were always picked first, and it's no different for lawyers. Good clients, the ones that are serious about their case and do their homework, are going to know which lawyers are the "good players" and which ones should be picked last. Even though the stragglers are yelling "Pick me!" just as loud as the others, their shortcomings will still put them at the last of the clients' options list. Settlement guaranteed in 30 days! We listen to your case. The law is my profession. Biggest verdict in the city! Most of these are either no-brainer statements, vague and just space filler, or claims you can't prove. If a client is swayed by a lawyer advertisement that says the attorney is "compassionate and will listen" they're looking for a therapist, not a lawyer. All lawyers will listen to your case if they want your business, it's obvious. 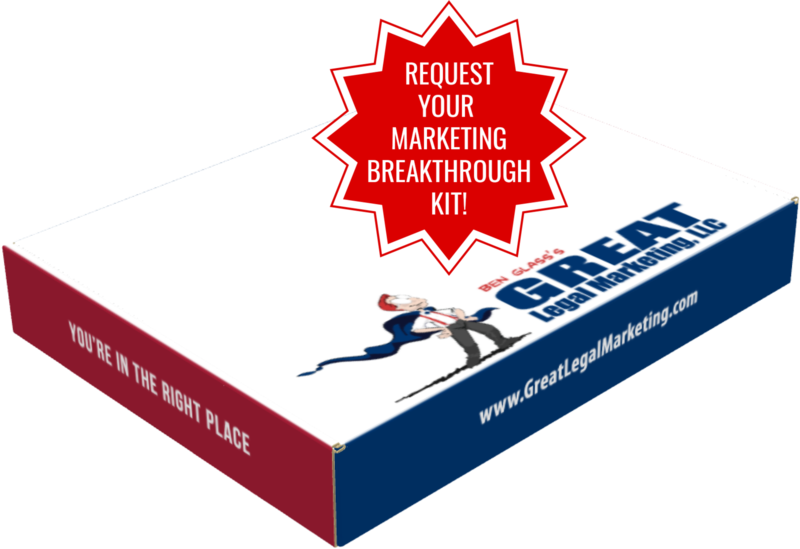 There are a lot more common lawyer advertising pitfalls to avoid when you're developing your legal marketing strategies. To be successful in your lawyer advertising, you need to make sure you're standing out from your competition rather than just parroting what they say.